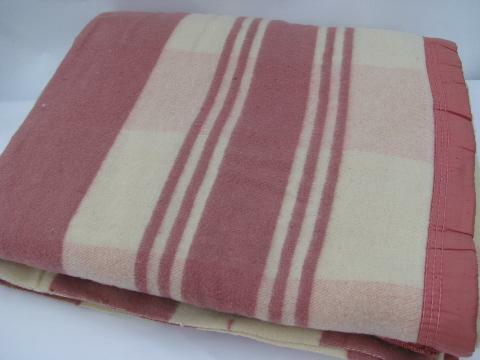 Vintage camp style blanket, rose-pink and cream plaid, 84" x 72". 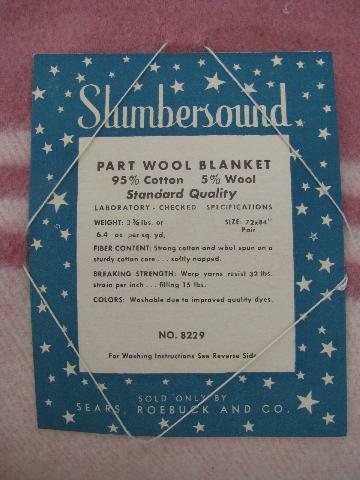 This still has the original label, Slumbersound from Sears, Roebuck (5% wool, 95% cotton). 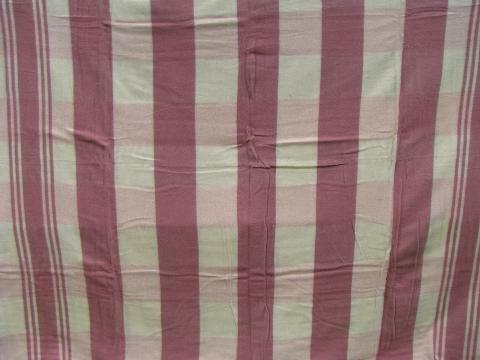 It's very soft and thick, and the colors are clear and lovely. It's in very nice shape, never used, with just a little pilling to the nap from handling and storage.